By Pablo Delgado and César López. First of all, you must register the name of your hotel. Fill out the form in the name of the owner of the trademark or in the presence of the society that registered the trademark. Make sure that the name of the company coincides with the society that registered the trademark. The commercial name must be “denominative” and not “mixed” or “graphic”, or you will not be allowed to continue. If you are making Adwords for your official website, you will have a Google customer ID. This ID will be something like this 123-456-7890. Without filling providing this information, you run the risk of blocking your own advertisements. • In “Authorised Entities” write the names of the companies (along with their customer ID’s) which you authorize to create Adwords using your account. This applies to you if you have sub-hired the Adwords service. Google will get in contact with you to respond to your request. 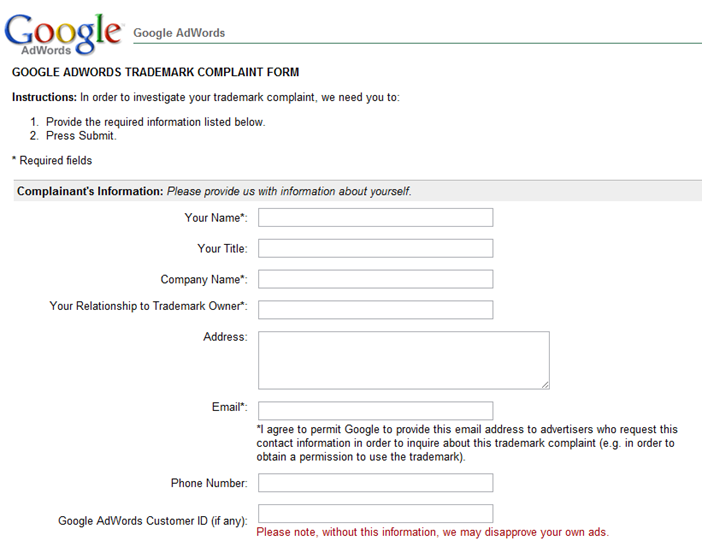 All companies or people that were making Adwords using your registered trademark will receive a warning from Google stating that their campaigns have been frozen because they are using a registered trademark.